Traditionally, the function of the front end of a store has revolved around impulse items and upsell potential. But in today's shaky economy, definitions have changed. While consumers are still spending money, they now do so with more prudence, and they've developed a knack for stretching a dollar as far as possible. To stay ahead of the game, retailers have to be bold and innovative, creating a more holistic shopping experience in the front end. Maximize front-end space in retail stores of all sizes with the Cart Corral. Encourage "maybe later" merchandise purchases with the Round Feature Aisle Display. 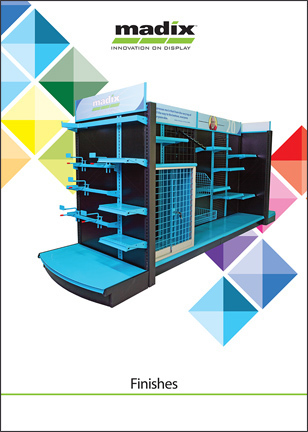 Create a queuing area designed to lift sales with Madix Queuing Solutions. Since the front end is the first and last place a customer visits, it should be equipped to both initiate and finalize the sales process. Draw attention to merchandise with its custom appearance and sleek design.